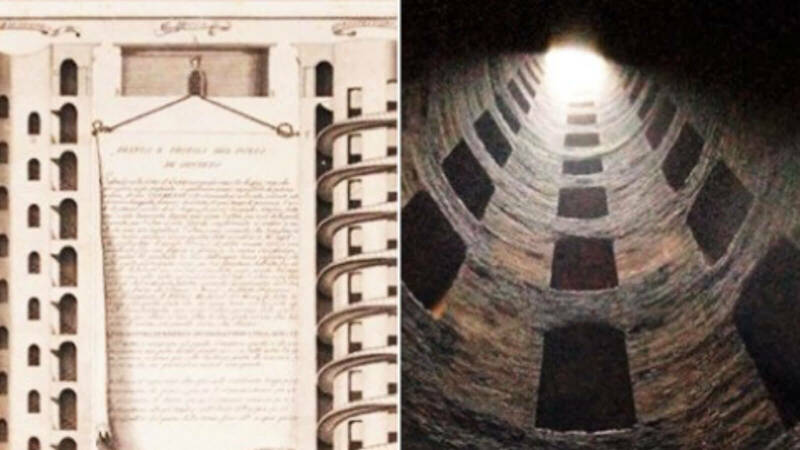 The Pozzo di San Patrizio (St. Patrick’s Well) in Orvieto, Umbria, central Italy, is one of the most ingenious water supply systems in history. It was designed by Antonio da Sangallo the Younger at the behest of Pope Clement VII (construction started in 1527 and was completed in 1537 under the direction of Giovanni Battista da Cortona) and consists of a circular shaft 54 meters deep, with 72 arc windows and surrounded with two helical staircases of 248 steps. In this way, mules could carry empty and full water vessels separately in downward and upward directions. At the bottom there is a bridge connecting the two interior staircases, from which people could scoop up water without the need for pack mules. 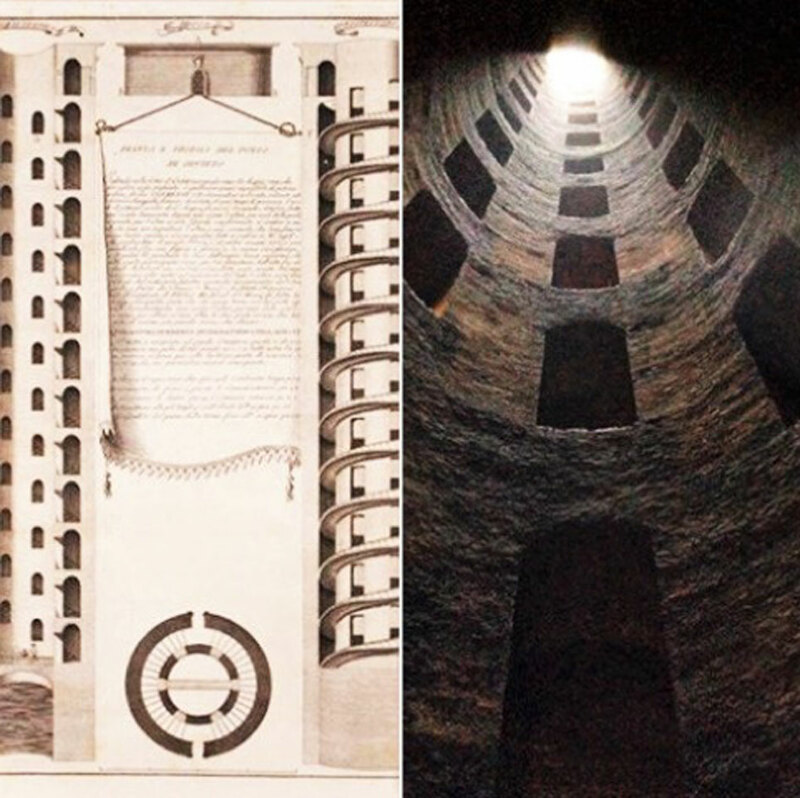 The path inside the well is physical, but also magical and spiritual: from the top to the bottom, from light to dark and back again, to suggest the idea of a “purgatory” purifying. The whole thing is of great suggestion. Let’s leave aside for a moment our interior stairs and design stairs and sail across the sea until the enchanting Isle of Capri. Here we find Casa Malaparte (1938-1942), designed by Adalberto Libera for the writer Curzio Malaparte. A very refined project, a precious architecture built into the rock and perfectly integrated into the natural landscape. 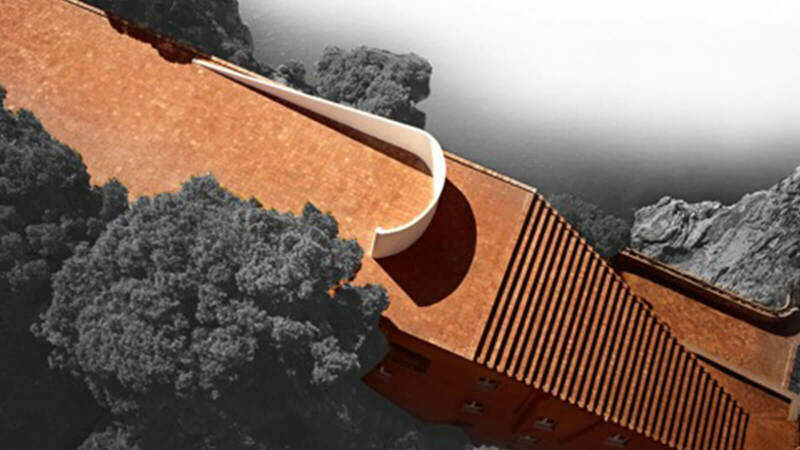 The basis of the house project is precisely the exterior stair, which defines the morphology of the building and turns itself into a pure architecture, taking us to the top of the cliff. The helical stairs of our Concrete collection are cement stairs with a compact and sinuous volume, enhancing the material’s ability to give substance to the shape. And this is even more evident if you opt for the cement railing, which has the advantage of making continuous the winding movement of the stair. From January 2017, the cement railing is also available (we have already been through this in a previous post) for our exterior stairs. Concrete is not simply a masonry stair or a furniture stair or a design stair: it is the one that—more than any other—can be defined as a real “architectural stair”. The new Executive catalogue is out. Our line of interior stairs is now enriched by the floating stairs of the Decór collection, designed by Carolina Melis: all strictly open stairs. In addition to our steel stairs and cement stairs, you will see many new images of wall stairs with very attractive and colorful graphics. Along with cantilevered stairs, you will find stainless stairs, the heart of our collection: elegant and high technical performance stairs, which can also be used as public stairs. And finally the section of cement stairs, which now ―something totally new― also become exterior stairs, thanks to a really special balustrade that makes these masonry stairs actual design stairs for the exterior of your home, with the typical, sinuous beauty of the helical stairs. Interior stairs and exterior stairs, but mostly beautiful stairs and safe stairs, conforming to all current regulations: this is what we want for our collection. The new Executive catalogue is available in printed or PDF format and can be requested at this web address. In today’s post we’ll wander off the usual topic of our concrete or steel and glass interior stairs to talk about urban stairs, those of one of the most beautiful cities in the world. 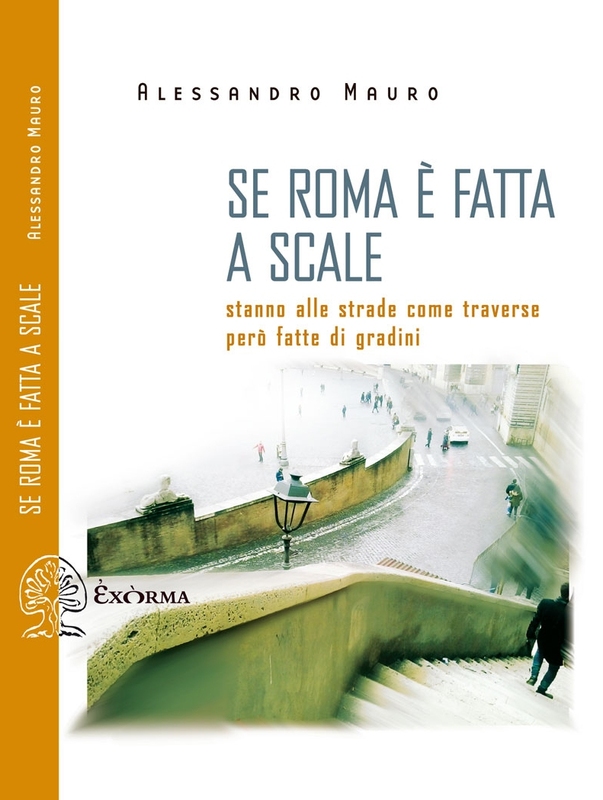 In fact, we want to suggest here a delightful little book dedicated to the stairs of Rome. 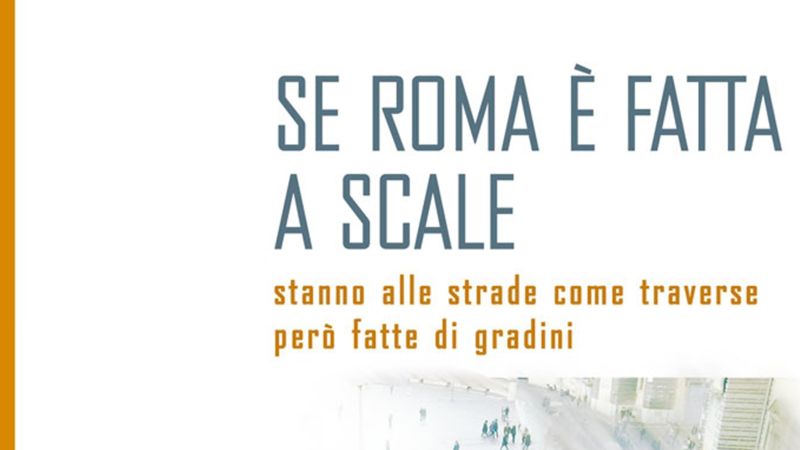 They are monumental or soberly elegant stone ramps (in plain sight in downtown or partially hidden by vegetation in public parks), stepped cross streets described in seventy-six short stories, able to give an originally poetic vision — between history and beauty — of the Eternal City. Have all a good reading! In his studio in Milan, the internationally renowned designer and architect Simone Micheli talks about the genesis and conception of Joy, the new steel and glass stair designed for the Executive collection: a stair characterized by soft lines and an attractive dimensional effect. Simone Micheli presents his design concept for our architectural stairs with the same passion as always. 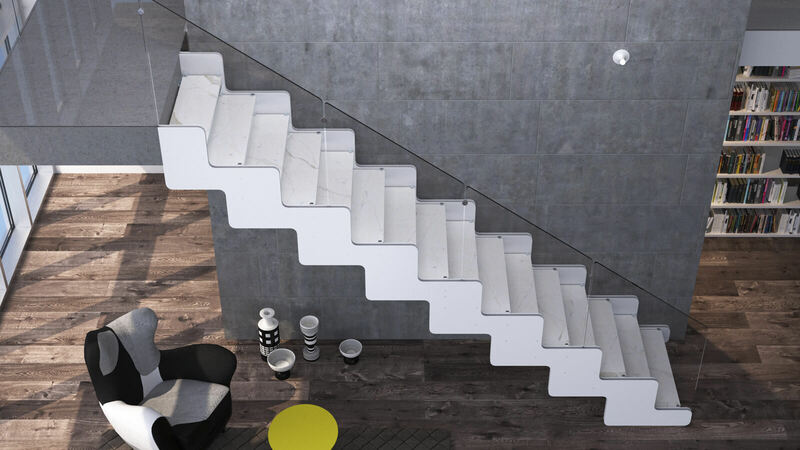 Executive Stairs has presented at Fuorisalone 2015 in Milan the new Concrete line included in its Architectural Stairs top collection, dedicated to design research. The helical stair Concrete is a model suitable both for the interior and exterior spaces and can be customized with a wide selection of finishes and colors, allowing to integrate it in any environment as not only a functional but also a decorative element. Constructed with a solid material such as cement, this newel-less stair is characterized by a linear and pure design, which gives it an aspect of modern sculpture. The colors that highlight its naturalness and materiality are those ranging from white to ecru and concrete/anthracite grey. Surface finishes can be of several types, all of which are perfectly suited to modern or classic environments. 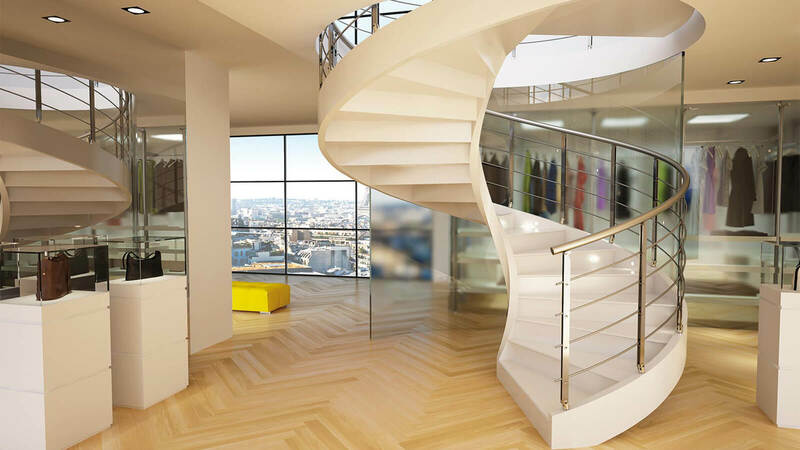 The Executive project by Rental intends to create a division of high quality architectural stairs as a result of an advanced esthetic and technical research, whereby each stair is always a custom-designed product, expression of the best Made in Italy and of a rigorous engineering development. It really is a new concept of stair, which responds (in an almost “tailor” way) to architectural and structural needs of each client. 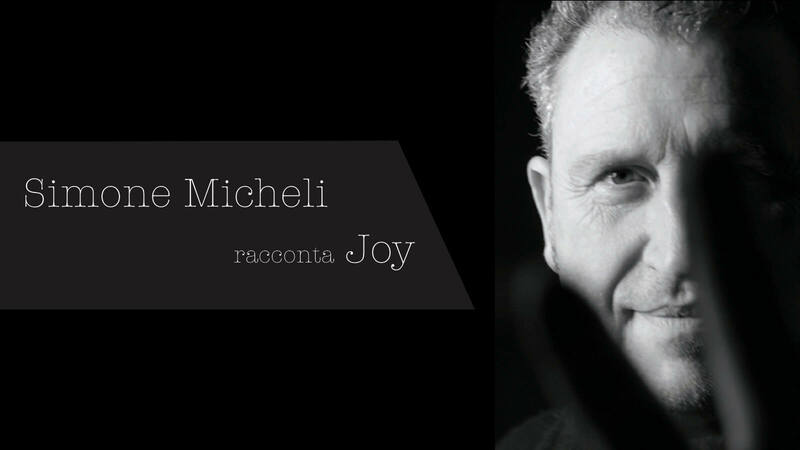 Joy, the latest creation of this important project, bears the signature of the architect Simone Micheli. It is characterized by a very innovative design, resulting from the structural discontinuity, the curvature of the edges and the contrast between mirrored and transparent surfaces. 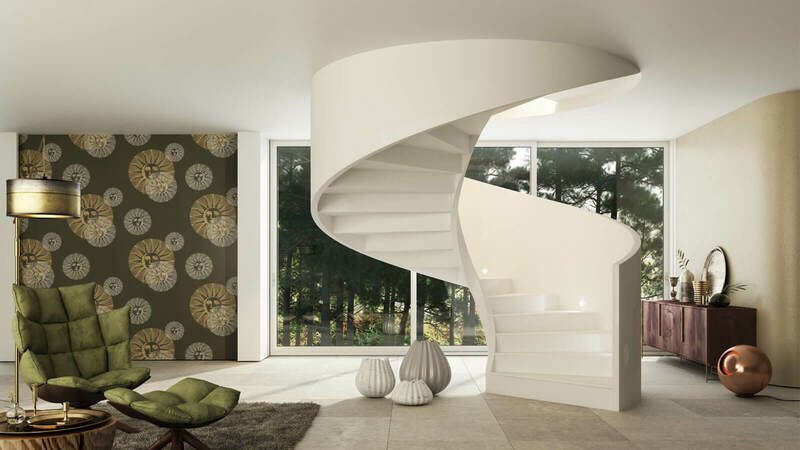 A vaguely retro charm also marks this massive but sinuous and lightweight stair. Joy is available in the helical version with railing, similar to the spiral model but more soft and captivating, thanks to the lack of a central column. Materials and finishes are customizable; the steps can be of glass, wood, stone or marble. 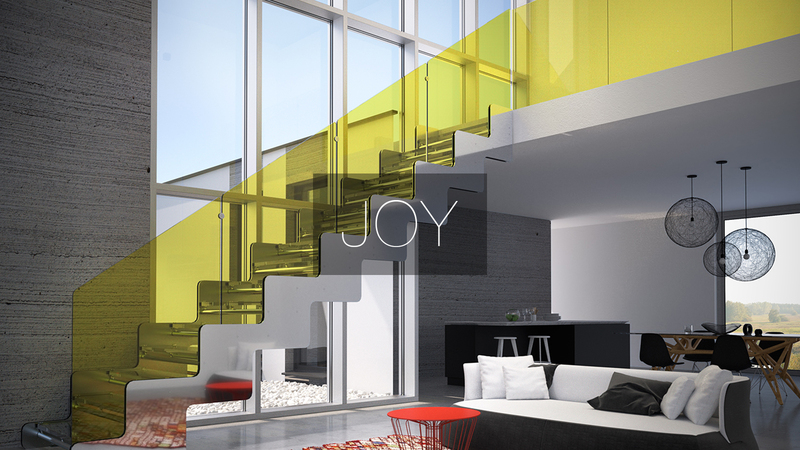 The railing is proposed in glass, also colored to add a decorative touch to the structure’s design.